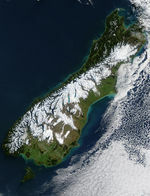 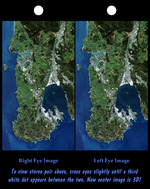 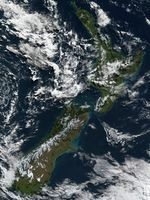 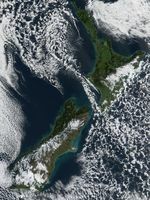 On May 30, 2002, MODIS captured this image of the South Island of New Zealand. 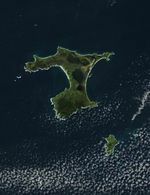 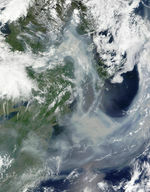 The coastal waters are bright with what is probably a mixture of sediment from rivers, phytoplankton, and possible suspended organic matter. 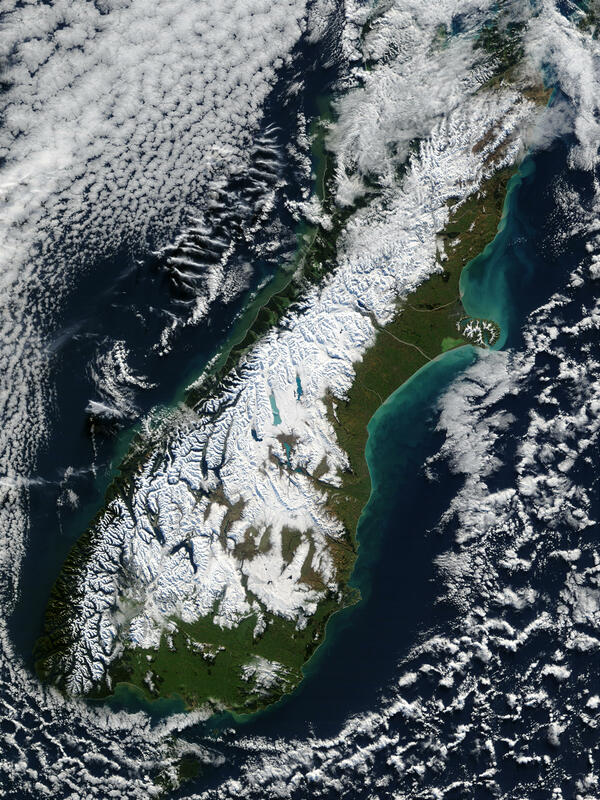 Running along the western coastline, the Southern Alps are taking on their winter covering of snow.